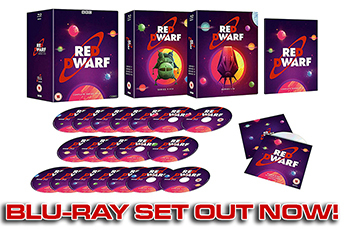 All of this decade's Red Dwarf available to stream for free with UKTV! 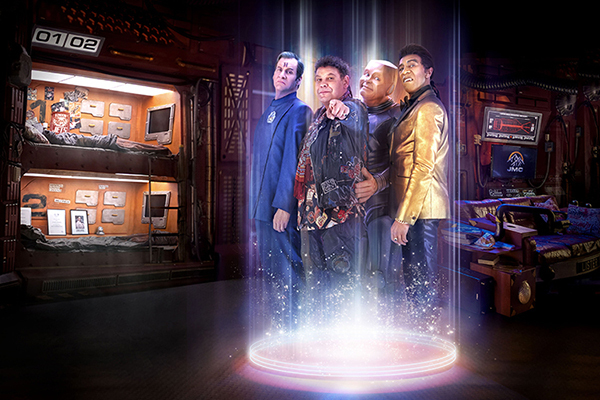 There are more ways to get a Red Dwarf fix these days than you can shake a stick at - and for the viewer who can't be bothered to pull their DVD or Blu-ray sets down off the shelf, one of the best ways is via the UKTV Play streaming service. Not least because, if you're in the UK, it's completely free. 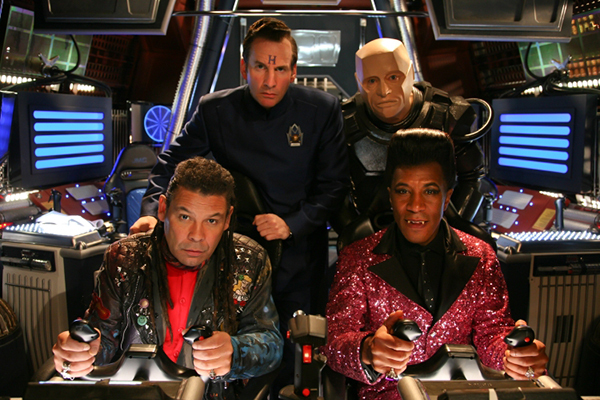 And right now, you're able to watch the entirety of the last three seasons of Red Dwarf. In other words, basically the entirety of the Dave era (with the exception of 2009's Back to Earth). Every episode from the current decade. 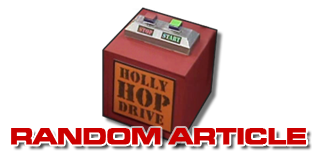 A fraction under 25% of all the Red Dwarf that's ever been made. For absolutely zero pennies. All you have to do is register for a free account on the service - and you can stream the episodes via smart TVs, Android and Apple phones and tablets, Amazon Fire and Roku streaming players, Freeview Play and Now TV boxes, and a wide range of TV subscription platforms. Or just directly in your web browser via the website. Lister's pre-recorded video conversation with himself - and the reveal of his guitar's whereabouts. The entangled Kryten and Cat in a simultaneous tongue-twisting tour de force. Rimmer learns the truth behind his parentage, discovering that he's a "working class hero"! The most spectacular Starbug crash ever seen onscreen, as the boys make an unscheduled arrival on Earth. The brilliantly time-twisty solution to the problem of Lister's missing kidneys. A barbershop quartet consisting of 100% Rimmers. Kryten unveils his whizzy new chassis. And his subwoofers. 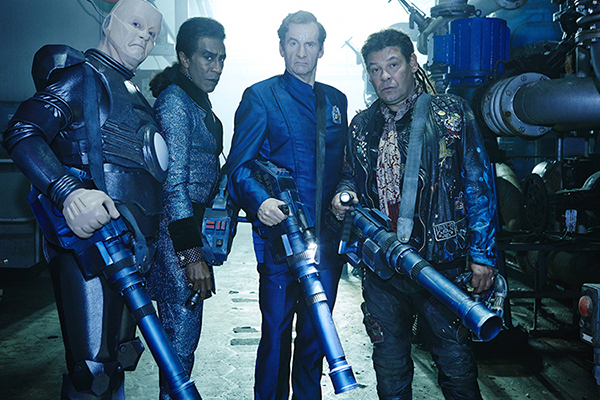 A nine-way Mexican standoff between Rimmer, Lister, Kryten and their Polymorph triplicates! The Dwarfers search for some tech to fix Starbug's faulty steering. They come across a Scientific Research Centre where several figures from history are recreated in the present and 'cured' of evil. Or are they? Dave Lister. Adolf Hitler. Two guitars. The Happy Wanderer. Insta-classic! The Dwarfers are arrested by the Mechanoid Intergalactic Liberation Front. 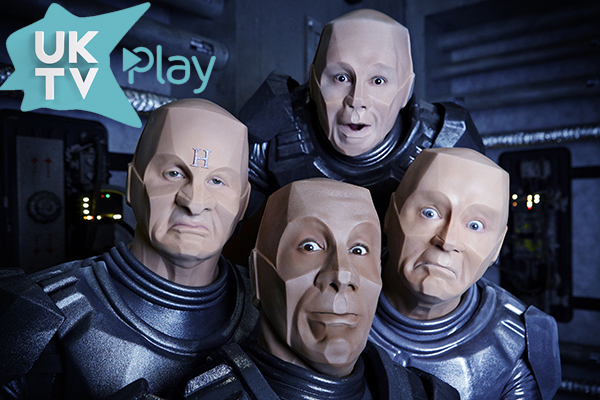 Lister, Cat and Rimmer are uploaded into Mechanic bodies and forced into servitude while Kryten is given a new life of pampering and luxury. Kryten participates in a self-help group for oppressed mechs. A ship from the 23rd century is washed up from the past and the Dwarfers run into a crew where criticism is illegal. How will Rimmer cope? The crew encounter a pedantic "Crit-Cop" (Johnny Vegas). When all the machines onboard Red Dwarf go on strike a Presidential election is held between Rimmer and Kryten to look after their rights. After nearly two decades in the garbage hold, Talkie Toaster (David Ross) returns to vex Lister - and swing the election. 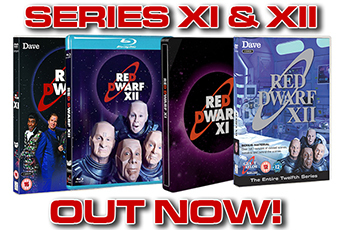 When the Dwarfers upload the latest software update they discover the Jupiter Mining Corporation, owners of Red Dwarf, have been bought by M Corp - a company that only allows products made by them to be visible to their employees.